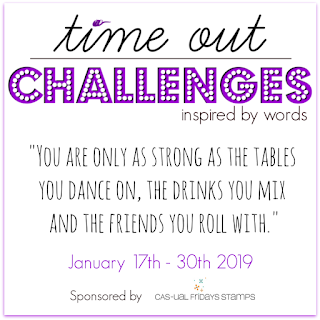 Over at TIME OUT Challenges they have a great phrase to inspire you. They call the challenge…Inspired by words. It’s quite a long phrase, so it has a lot of room for creativity. I knew right away that this Altenew stamp would be the perfect phrase for this challenge. This card was made with a mix of SU, MFT products, and Altenew. Oh, and some Ric Rac…Love that stuff! I really love that sunflower from SU, and that DP too. Categories: Cards | Tags: Altenew stamps, Cards, my favorite things, rubber stamps, stamping, Stamping Up | Permalink. I second that sentiment, Nancy. Love the sunflower and matching hearts. Gorgeous colors and design and I love the sentiment. Love this beautiful tribute to crafty friends. What a fun card. Thanks so much for playing along at Time Out. Nancy, with everything in nature at this time of year seeming a little drab, your card adds a beautiful pop of color and the thought of summer to cheer up the day. Love it! 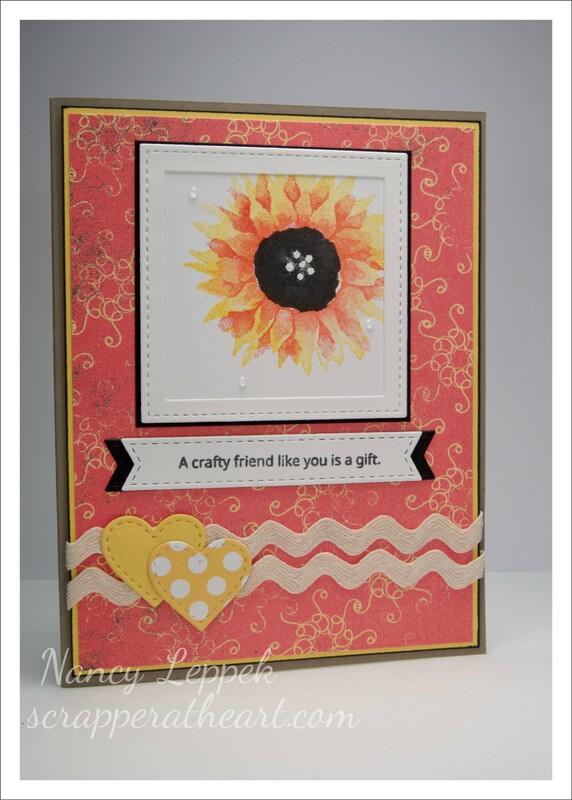 I see that you are combining several stamps to make this gorgeous and very touching card. Loved the framed sunflower, it really pops that way. Love that sunflower Nancy! The colors are amazing! Very pretty card! Thanks for joining us at Time Out! Very pretty. I love the sunflower and the colors. Of course the sentiment is perfect. What a gorgous flower! And super card for a crafty friend! Thank you for joining us at TIME OUT!